OMICS International Conferences invites all the participants from all over the world to attend '9th Indo Global Summit on Cancer Therapy' during November 02-04, 2015 at Hyderabad, India which includes prompt keynote presentations, Oral talks, Poster presentations and Exhibitions. The theme of the conference is "Precision therapeutics and curative approaches to curb cancer." Global Cancer Conferences that provides a perfect platform for Researchers, Academicians, Industrial Delegates, Students, Care Givers, Oncologists and other players to share knowledge and to discuss the practical challenges encountered and the possible solutions that can be adopted for treating Cancer. Cancer is one of the leading causes of deaths in India, which has nearly three million patients suffering from the disease. The estimated number of new cancers in India per year is about 7 lakhs and over 3.5 lakhs people die of cancer each year. OMICS International organizes a conference series of 3000+ Global Events inclusive of 600+ Conferences, 1200+ Upcoming and Previous Symposiums and Workshops in USA, Europe & Asia with support from 1000 more scientific societies and publishes 700+ Open access journals which contains over 30000 eminent personalities, reputed scientists as editorial board members. Cancer research is basic and applied research into cancer or oncology in order to identify causes and develop strategies for prevention, diagnosis, treatments and cure. The other term used for cancer study is oncology. Molecular oncology is an interdisciplinary medical specialty at the interface of medicinal chemistry and oncology that refers to the investigation of the chemistry of cancer and tumors at the molecular scale. The field of cancer genomics and systems biology has emerged to address the increasing challenge of cancer as a complex, multifactorial disease using sophisticated model-based approaches, ranging from relatively coarse genome-wide regulatory and signaling networks to detailed kinetic models of key pathways. Cancer stem cells may play a major role in tumor growth cancer might have its own stem cells that impact on the regrowth of tumors. A tumor is an abnormal mass of tissue which may be solid or fluid-filled. A tumor does not mean cancer - tumors can be benign (not cancerous), pre-malignant (pre-cancerous), or malignant (cancerous). The tumor microenvironment is the cellular environment in which the tumor exists Tumors can influence the microenvironment by releasing extracellular signals, promoting tumor angiogenesis and inducing peripheral immune tolerance, while the immune cells in the microenvironment can affect the growth and evolution of cancerous cells, such as in immuno-editing. OMICS International also conducting the oncology events in India to explore the scientific research. Related Conferences: 11th Asia-Pacific Oncologists Annual Meeting, July 11-13, 2016 Malaysia; 10th Global Annual Oncologists Meeting, July 11-13, 2016 Germany; 12th Euro Global Summit on Cancer Therapy, September 26-28, 2016 UK; 13th Global Summit on Cancer Therapy, October 17-19, 2016 UAE; Cancer Diagnostics Conference & Expo June 13-15, 2016 Italy; American Association for Cancer Research Annual Meeting April 16-20, 2016 USA; 28th Lorne Cancer Conference February, 11-13, 2016 Australia; European Lung Cancer Conference April, 13-16, 2016 Switzerland; European Society for Medical Oncology 2016 Congress October, 07-11, 2016 Denmark; 18th International Conference on Biomarkers and Clinical Medicine, March 24-25, 2016 Madrid, Spain. Most cancers are initially recognized either because of the appearance of signs or symptoms or through screening. Cancer screening aims to detect cancer before symptoms appear. This may involve blood tests, urine tests, other tests, or medical imaging. Other techniques used in cancer diagnostics and therapy are Molecular diagnostics used to analyse biological markers in the genome and proteome the individual's genetic code and how their cells express their genes as proteins by applying molecular biology to medical testing. The recent surge in high-throughput sequencing of cancer genomes has supported an expanding molecular classification of cancer. These studies have identified clinical biomarkers signifying aberrant oncogene pathway activation and may provide a rationale for matching patients with molecularly targeted therapies in clinical trials. Cancer clinical biomarkers can also be useful in establishing a specific diagnosis. This is particularly the case when there is a need to determine whether tumors are of primary or metastatic origin. Cancer cells can also identified by using digital pathology and imaging techniques. Digital pathology is an image-based information environment which is enabled by computer technology that allows for the management of information generated from a digital slide whereas imaging is the technique and process of creating visual representations of the interior of a body for clinical analysis and medical intervention. The most commonly used therapy in treating cancer is chemotherapy. Innovational combinational therapy is a new therapy in cancer in which multiple therapies are used for single disease. Radiation Oncology is the procedure by which cancer can be treated by using radiation methods. OMICS is delighted to organize radiation oncology conference in upcoming year which discuss about radiation techniques. Before modern medicine the only chance to treat cancer is surgery. Surgical oncology played an important role in the cancer treatment. Surgical oncology conferences are the upcoming conferences of OMICS discusses about the treating cancer through surgery. Related Conferences: 12th Euro Global Summit on Cancer Therapy, September 26-28, 2016 UK; 13th Global Summit on Cancer Therapy, October 17-19, 2016 UAE; 6th World Congress on Cancer Therapy, December 01-03, 2016 USA; 2nd International Conference and Exhibition on Molecular Medicine and Diagnostics September 26-28, 2016 USA; 6th Global Experts Meeting & Expo on Nanomaterials and Nanotechnology April 21-23, 2016 UAE; 23rd International Molecular Med TRI-CON March 06-11, 2016 San Francisco, USA; 2nd Biomarkers Conference September 19-20, 2016 London, UK; 17th World Conference on Lung Cancer December, 04-07, 2016 Austria; Asia Pacific Lung Cancer Conference May, 13-16, 2016 Thailand; 28th Lorne Cancer Conference February, 11-13, 2016 Australia. Anti-cancer drugs are available in a different form which varies in their effects and mechanism. Functional genomics are used in drug delivery and development for cancer. Functional genomics in drug delivery mainly describes about functions and interactions of genes. Oncology Conferences 2015 deals with therapeutic antibodies and cancer vaccine plays an important role in cancer prevention and cancer vaccines can treat existing cancer or prevents development of a cancer. Vaccines that treat existing cancer are therapeutic cancer vaccines. There are currently no vaccines to prevent all cancers; however vaccines against some cancers have proven extremely effective in prevention. There are various new drugs are designed for cancer through novel drug delivery system it can be introduced into the body. The new technique that is nanotechnology is used in discovers Nano cancer drugs in the treatment these can be incorporated easily through the body and helps in regulating the tumors. Clinical trials are studies in which people volunteer to take part in tests of new drugs or procedures. Doctors use clinical trials to develop new treatments for serious diseases such as cancer. In global market the anti-cancer are very costly and common people cannot afford for these drugs due to this reason lakhs of people are still suffering with cancer. Oncology events focus on cutting-edge developments in therapy and drug discovery. Related Conferences: 4th International Conference on Predictive, Preventive and Personalized Medicine & Molecular Diagnostics September 19-21, 2016 USA; 5th International Conference on Translational Medicine November 17-19, 2016 USA; 2nd International Conference and Exhibition on Molecular Medicine and Diagnostics September 26-28, 2016 USA; 6th Global Experts Meeting & Expo on Nanomaterials and Nanotechnology April 21-23, 2016 UAE; Cancer Diagnostics Conference & Expo June 13-15, 2016 Italy; 17th World Conference on Lung Cancer December, 04-07, 2016 Austria; Asia Pacific Lung Cancer Conference May, 13-16, 2016 Thailand; European Society for Medical Oncology 2016 Congress October, 07-11, 2016 Denmark; 11th Annual Biomarkers Congress February 25-26, 2016 UK; Circulating Biomarkers World Congress March 21-22, 2016 USA. 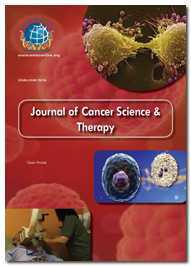 Clinical Oncology covers various types of cancers and new techniques and approaches in treating cancers. American society oncology conference focuses on different types of cancer some of the deadly cancers are Head and neck cancers mainly caused due to environmental and life style risk factors like smoking, alcohol, exposure to UV light and usage of dangerous chemicals at work places. Neuroendocrine carcinoma is a type of tumor develops from cells of endocrine and nervous system these are mostly occurs in the intestine called as carcinoid tumors. Lungs cancers most commonly seen in men annually 1.56 million deaths are observed in both men and women due to this cancer. Gastrointestinal cancer is also most common cancer it affect digestive system and also includes esophagus, liver, gall bladder, pancreas, colon and rectal cancers. Breast cancer and hematologic cancers are also main cause for deaths breast cancers are mostly found in women. The new technology in cancer is use of robotic instrumentation and two cameras in treatment for visualizing the tumor it will give surgeons a better view in treating the blood loss is also very less in this treatment. Related Conferences: International Conference and Expo on Molecular & Cancer Biomarkers, September 15-17, 2016 Germany; 7th International Conference on Biomarkers & Clinical Research, November 28-30, 2016, USA; 6th International Conference & Expo on Proteomics March 29-30, 2016, USA; Asia Pacific Mass Spectrometry Congress October 13-15, 2016 Malaysia; 5th International Conference on Translational Medicine November 17-19, 2016 USA; 11th Annual Biomarkers Congress February 25-26, 2016 UK; Circulating Biomarkers World Congress March 21-22, 2016 USA; 12th Annual Biomarkers & Diagnostics World Congress May 17-19, 2016 USA; 2nd Biomarkers Conference September 19-20, 2016 UK; 18th International Conference on Biomarkers and Clinical Medicine, March 24-25, 2016 Spain. Cancer causes a vast number of mortalities throughout the world. Cancer has been found to involve in various metabolic processes studying cancer through metabolomics can reveal new biomarkers for cancer in prognosis, diagnostics and treatment. More recent advances have revealed that tumor-host interactions extend well beyond the local tissue microenvironment (i.e., interactions between the neoplastic cells and the nearby stroma) and that tumors not only respond to, but actively perturb host organs at distant anatomic sites. Monoclonal antibody drugs are a relatively new innovation in cancer treatment. While several monoclonal antibody drugs are available for treating certain cancers, the best way to use these new drugs isn't clear. The different strategies employed by tumors to immune responses, including tumor-induced impairment of antigen presentation, activation of negative co-stimulatory signals and elaboration of immunosuppressive cells and pro-apoptotic factors. Translation cell carcinoma is an implication of translational techniques for cancer treatment where new treatments can be developed. Diagnostic and Prognostic Cancer Biomarkers, Stem cell mediated immuno gene therapy for tumors, Tumour-host interactions, Nuclear responses and tumorigenesis are some of the important topics to be discussed under this track. Related Conferences: International Conference on Pancreatic and Colorectal Cancer March, 29-30, 2016 USA; 11th Asia-Pacific Oncologists Annual Meeting, July 11-13, 2016 Malaysia; 2nd International Conference on Prostate Cancer and Treatment, May 05-07, 2016 USA; 12th Euro Global Summit on Cancer Therapy, September 26-28, 2016 UK; 6th World Congress on Cancer Therapy, December 01-03, 2016 USA; European Lung Cancer Conference April, 13-16, 2016 Switzerland; American Association for Cancer Research Annual Meeting April 16-20, 2016 USA; 12th Annual Biomarkers & Diagnostics World Congress May 17-19, 2016 USA; 23rd International Molecular Med TRI-CON March 06-11, 2016 USA; European Society for Medical Oncology 2016 Congress October, 07-11, 2016 Denmark. Carcinogenesis is the actual formation of a cancer, whereby normal cells are transformed into cancer cells. The process is characterized by a progression of changes at the cellular, genetic, and epigenetic level that ultimately reprogram a cell to undergo uncontrolled cell division, thereby forming a malignant mass. 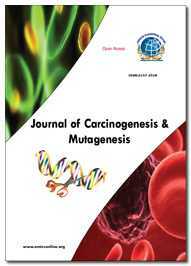 Carcinogenesis is caused by mutation and epimutation of the genetic material of normal cells, which upsets the normal balance between proliferation and cell death. The role of onco-genomics is to identify new oncogenes or tumor suppressor genes that may provide new insights into cancer diagnosis, predicting clinical outcome of cancers, and new targets for cancer therapies. European oncology conference throws light on protein biomarkers which can be used as biomarkers for early detection of cancer especially it is mostly used in identifying breast cancer. Due to chemical carcinogens tumors are developed which will affect human immune system. There are many environmental and chemical carcinogens such as UV rays, gamma rays and non-radioactive carcinogens. OMICS International organizes world-wide cancer therapy conferences serves as a get together for scientists in the area of cancer research. Related Conferences: International Conference and Expo on Biopharmaceutics September 21-22, 2015 USA; 6th International Conference on Genomics & Pharmacogenomics, September 22-24, 2016, Germany; 6th Global Experts Meeting & Expo on Nanomaterials and Nanotechnology April 21-23, 2016 UAE; International Conference and Expo on Molecular & Cancer Biomarkers, September 15-17, 2016 Germany; 2nd International Conference on Current Trends in Mass Spectrometry May 09-11, 2016 USA; American Association for Cancer Research Annual Meeting April 16-20, 2016 USA; 28th Lorne Cancer Conference February, 11-13, 2016 Australia; European Lung Cancer Conference April, 13-16, 2016 Switzerland; 17th World Conference on Lung Cancer December, 04-07, 2016 Austria; Asia Pacific Lung Cancer Conference May, 13-16, 2016 Thailand. As the researchers learn more about cancer, they’re developing new therapies that target particular types of tumor cells and restrict their growth. Blood carcinoma is one of the major cancer that affect mainly blood, bone marrow, lymph and lymphatic system for treating this recent techniques have been discovered by the researchers through targeting the tumor and restrict their growth. On their own or in combination with other alternative treatments, these therapies can decrease the size of tumors and symptoms. Some innovative therapies give hope for people with cancers that have been resistant to more treatments. There are different stages of the cancer like Stage 1, Stage 2, Stage 3 and Stage 4. The Oncology Conference delivers practical ideas, solutions, and strategies to implement in cancer program today. Related Conferences: 12th Euro Global Summit on Cancer Therapy, September 26-28, 2016 UK; 13th Global Summit on Cancer Therapy, October 17-19, 2016 UAE; 6th World Congress on Cancer Therapy, December 01-03, 2016 USA; 5th International Conference on Translational Medicine November 17-19, 2016 USA; 5th International Conference on Medicinal Chemistry & Computer Aided Drug Designing December 01-03, 2016 USA; 18th International Conference on Biomarkers and Clinical Medicine, March 24-25, 2016 Spain; European Lung Cancer Conference April, 13-16, 2016 Switzerland; Circulating Biomarkers World Congress March 21-22, 2016 USA; 23rd International Molecular Med TRI-CON March 06-11, 2016 USA; 28th Lorne Cancer Conference February, 11-13, 2016 Australia. Ayurvedic medicine will focus on advice on diet and special diets, Taking specific Ayurvedic medications, Herbal medicine, Massage, Meditation, Yoga and Breathing and relaxation techniques. People with cancer usually prefer touch therapies such as massage and aromatherapy. A larger section of individuals say these therapies help them to cope better with cancer and its treatment. Research is looking into whether some herbs or plant treatments used in Ayurvedic medicine can prevent or treat cancer. Many Ayurvedic medicines are made of a mixture of herbs. Few herbal medicines can interact with treatments, including cancer drugs or radiotherapy. Some herbal treatments may affect the way cancer drugs are broken down by the human body or the way drugs are transported around human body. Oncology Nursing conferences is the upcoming conference in which nursing techniques are been discussed as there are limited educational program in oncology nursing this will be the best platform to share ideas. Related Conferences: International Conference and Expo on Biopharmaceutics September 21-22, 2015 USA; 4th International Conference on Predictive, Preventive and Personalized Medicine & Molecular Diagnostics September 19-21, 2016 USA; 5th International Conference on Translational Medicine November 17-19, 2016 USA; 2nd International Conference and Exhibition on Molecular Medicine and Diagnostics September 26-28, 2016 USA; 6th Global Experts Meeting & Expo on Nanomaterials and Nanotechnology April 21-23, 2016 UAE; European Society for Medical Oncology 2016 Congress October, 07-11, 2016 Denmark; American Association for Cancer Research Annual Meeting April 16-20, 2016 USA; 28th Lorne Cancer Conference February, 11-13, 2016 Australia; 12th Annual Biomarkers & Diagnostics World Congress May 17-19, 2016 USA; 2nd Biomarkers Conference September 19-20, 2016 UK. Lung cancer is the one of the most common cancers we generally see, which will be accounting for about one out of five cases in men and one out of nine in women. Unfortunately, over the past years, while the incidence of lung cancer has gradually decreased in men, it has been rising dangerously in women. In 1940 only seven women in 100,000 developed the disease; but today the rate is 42 in 100,000. And all the evidence points to smoking as the cause. However, studies prove that quitting smoking does lower the risk. Lung carcinoma is the major tumor it starts from lung and spreads to other parts of the body. 80-90% of lung carcinoma has been affected due to tobacco consumption. The Lung Cancer Conference is the world’s largest meeting dedicated to lung cancer and other thoracic malignancies. There are two types of lung cancer: Small cell lung cancer, which is also called oat cell cancer, why because the cells looks like oat grains and non-small cell lung cancer. The aggressiveness of the disease and treatment options will be depending on the type of tumor recognized. Related Conferences: 10th Global Annual Oncologists Meeting, July 11-13, 2016 Germany; Cancer Diagnostics Conference & Expo June 13-15, 2016 Italy; 5th International Conference on Medicinal Chemistry & Computer Aided Drug Designing December 01-03, 2016 USA; 11th Asia-Pacific Oncologists Annual Meeting, July 11-13, 2016 Malaysia; 6th World Congress on Cancer Therapy, December 01-03, 2016 USA; European Lung Cancer Conference April, 13-16, 2016 Switzerland; 17th World Conference on Lung Cancer December, 04-07, 2016 Austria; Asia Pacific Lung Cancer Conference May, 13-16, 2016 Thailand; 12th Annual Biomarkers & Diagnostics World Congress May 17-19, 2016 USA; 23rd International Molecular Med TRI-CON March 06-11, 2016 USA. Cancer survival rates or survival statistics tell you the percentage of people who survive a certain type of cancer for a specific amount of time. Cancer statistics often use an overall five-year survival rate. Breast Cancer Conference includes the advances have been largely achieved through the successful application of a multidisciplinary approach in the treatment and care of breast cancer. Cancer survival rates are supported on research from information gathered on hundreds or thousands of individuals with a particular cancer. An overall survival rate includes individuals of all ages and health conditions who have been diagnosed together with your cancer, together with those diagnosed terribly early and people diagnosed terribly late. OMICS organizes Global Cancer meet to collaborate international level oncologists and researchers. Related Conferences: 6th International Conference on Genomics & Pharmacogenomics, September 22-24, 2016, Germany; 7th International Conference on Biomarkers & Clinical Research, November 28-30, 2016, USA; International Conference and Expo on Molecular & Cancer Biomarkers, September 15-17, 2016 Germany; 12th Euro Global Summit on Cancer Therapy, September 26-28, 2016 UK; 13th Global Summit on Cancer Therapy, October 17-19, 2016 UAE; 28th Lorne Cancer Conference February, 11-13, 2016 Australia; 12th Annual Biomarkers & Diagnostics World Congress May 17-19, 2016 USA; 2nd Biomarkers Conference September 19-20, 2016 UK; 11th Annual Biomarkers Congress February 25-26, 2016 UK; European Society for Medical Oncology 2016 Congress October, 07-11, 2016 Denmark. Cancer Summit- 2015 focuses on recent advances in skin carcinoma diagnosis and treatment which includes Bronchial carcinoma, Oat Cell Carcinoma, Squamous Cell Carcinoma and Lung Carcinoma and is a best opportunity to have a perfect research gathering. Related Conferences: International Conference on Pancreatic and Colorectal Cancer March, 29-30, 2016 USA; 2nd International Conference on Prostate Cancer and Treatment, May 05-07, 2016 USA; International Conference and Expo on Biopharmaceutics September 21-22, 2015 USA; 5th International Conference on Translational Medicine November 17-19, 2016 USA; 2nd International Conference and Exhibition on Molecular Medicine and Diagnostics September 26-28, 2016 USA; American Association for Cancer Research Annual Meeting April 16-20, 2016 USA; 28th Lorne Cancer Conference February, 11-13, 2016 Australia; European Lung Cancer Conference April, 13-16, 2016 Switzerland; 11th Annual Biomarkers Congress February 25-26, 2016 UK; 18th International Conference on Biomarkers and Clinical Medicine, March 24-25, 2016 Spain. The economic burden of cancer is substantial and expected to increase significantly in the future due to expected growth and aging of the population and improvements in survival as well as trends in treatment patterns and costs of care following cancer diagnosis. Cancer and its treatment result in the loss of economic resources and opportunities for patients, families, employers, and society overall. These losses include financial loss, morbidity, reduced quality of life, and premature death. When estimating the economic burden of disease, the monetary valuation of resources used to treat disease and the loss of opportunities due to disease is measured as cost. When measured longitudinally starting from cancer diagnosis, the monthly patterns of medical care use and associated costs of cancer change over time. Consistent with the intensity of treatment for initial care, recurrence, and end of life care, cancer costs are highest in the initial period following diagnosis, and among patients who die from their disease, at the end of life. Related Conferences: 11th Asia-Pacific Oncologists Annual Meeting, July 11-13, 2016 Malaysia; 10th Global Annual Oncologists Meeting, July 11-13, 2016 Germany; 6th Global Experts Meeting & Expo on Nanomaterials and Nanotechnology April 21-23, 2016 UAE; Cancer Diagnostics Conference & Expo June 13-15, 2016 Italy; International Conference and Expo on Molecular & Cancer Biomarkers, September 15-17, 2016 Germany; 11th Annual Biomarkers Congress February 25-26, 2016 UK; 12th Annual Biomarkers & Diagnostics World Congress May 17-19, 2016 USA; 23rd International Molecular Med TRI-CON March 06-11, 2016 USA; 18th International Conference on Biomarkers and Clinical Medicine, March 24-25, 2016 Spain; 28th Lorne Cancer Conference February, 11-13, 2016 Australia. OMICS International welcomes you to the '9th Indo Global Summit on Cancer Therapy' held during November 02-04, 2015 at Hyderabad, India. OMICS International organizes a conference series of 3000+ Global Events inclusive of 600+ Conferences, 1200+ Upcoming and Previous Symposiums and Workshops in USA, Europe & Asia with support from 1000 more scientific societies and publishes 700+ Open access journals which contains over 30000 eminent personalities, reputed scientists as editorial board members. Cancer is common everywhere and growing as a share of the burden of disease. The Agency for Healthcare research and Quality (AHRQ) estimates that the direct medical costs (total of all health care costs) for cancer in the US in 2011 were $88.7 billion. And according to Cancer Facts & Figures 2015, “Uninsured patients and those from ethnic minorities are substantially more likely to be diagnosed with cancer at a later stage, when treatment can be more extensive, more costly, and less successful.” While comparing the Annual Numbers of New Cancer Cases during 2001 & 2016 it shows 797,657 cases of cancer in both male and female in 2001. However, in 2016 it shows 1,219,649 cancer incidences. Focusing alone on Andhra Pradesh, in 2001 it shows 63,735 number of cancer cases in both sexes while 2016 has 97,015 cancer cases. Indo Cancer Summit 2015 is organized under the theme of "Precision therapeutics and curative approaches to curb cancer." Cancer is an abnormal growth of cells which tend to proliferate in an uncontrolled way and, in some cases, to metastasize. Cancer is not one disease; it is a group of more than 100 different and distinctive diseases. Cancer is one of the leading causes of deaths in India, which has nearly three million patients suffering from the disease. According to medical professionals, pulmonary carcinoma and oral cancers were the most common among men while cervix and breast cancer are on the rise in women. The estimated number of new cancers in India per year is about 7 lakhs and over 3.5 lakhs people die of cancer each year. With members from around the world focused on learning about cancer, and its recent advances in treatments and therapies; this is your best opportunity to reach the largest assemblage of participants from the biomarker community. Conduct presentations, distribute information, meet with current and potential scientists, make a splash with new drug developments, and receive name recognition at this 3-day event. World-renowned speakers, the most recent techniques, developments, and the newest updates in the field of cancer are hallmarks of this conference. Cancer is a generic term for a large group of diseases that can affect any part of the body. Other terms used are malignant tumors and neoplasms. Metastases are the major cause of death from cancer. Cancer is a leading cause of death worldwide, accounting for 8.2 million deaths in 2012. India has a population of 1.2 billion is the third largest medical device market in Asia. The total market for diagnostic and medical equipment in India is worth about $3.5 billion and is expanding at an annual rate of 18%.. Cancer is common everywhere and growing as a share of the burden of disease. The Agency for Healthcare research and Quality (AHRQ) estimates that the direct medical costs (total of all health care costs) for cancer in the US in 2011 were $88.7 billion. And according to Cancer Facts & Figures 2015, “Uninsured patients and those from ethnic minorities are substantially more likely to be diagnosed with cancer at a later stage, when treatment can be more extensive, more costly, and less successful.” While comparing the Annual Numbers of New Cancer Cases during 2001 & 2016 it shows 797,657 cases of cancer in both male and female in 2001. However, in 2016 it shows 1,219,649 cancer incidences. Focusing alone on Andhra Pradesh, in 2001 it shows 63,735 number of cancer cases in both sexes while 2016 has 97,015 cancer cases. The breast cancer therapeutics market in the four Asia-Pacific (APAC) countries of India, Australia, China and Japan was worth $1.5 billion in 2013 and is expected to grow at a Compound Annual Growth Rate (CAGR) of 7.6% to $2.5 billion by 2020. Japan had the largest market in 2013 with a value of $872m, or a share of 58%, followed by China with $320m or 21%, and Australia with $234m or 16%. India had the lowest market share and value at 5% and $81m, but is expected to witness the fastest growth over the forecast period with a CAGR of 13.8%, compared to Australia at 7.8% and China and Japan both at 7.7%. Globally, the Non-Small-Cell Lung Cancer (NSCLC) drug market will increase from USD 4.3 billion in 2009 to USD 6.9 billion in 2019 and the market is growing with a CAGR of 4.84% during 2009 to 2019. The major markets in these segments are the United States, France, Germany, Italy, Spain, United Kingdom and Japan. The global top five global brands in NSCLC with the largest market share are Avastin, Tarceva, Alimta, Gemzar and Taxotere. For growth in the future there are drugs in the pipeline and in clinical trials at the phase 3 process development in the non-small cell lung cancer market.